Components intended for use within an oxygen-enriched environment must adhere to stringent cleanliness requirements. Harrison Electropolishing provides oxygen cleaning services to effectively prepare a component to contain or operate within an oxygen-enriched environment. The oxygen cleaning process prepares these components by removing combustible contaminants. Through oxygen cleaning, both organic and inorganic contaminants such as hydrocarbon materials (i.e. oils or greases) are removed. Through our years of experience, Harrison Electropolishing has developed customized oxygen cleaning (also referred to as O2 cleaning) procedures for materials such as stainless steel, aluminum, copper, titanium, glass and other materials intended for oxygen service. Products that we provide oxygen cleaning services to include pipe, tube, valves, hoses, fittings and fully fabricated components. Materials and components that are not cleaned for oxygen may be susceptible to fire or explosion. By using oxygen cleaning, the performance and life of the part is extended and a safe environment is maintained. 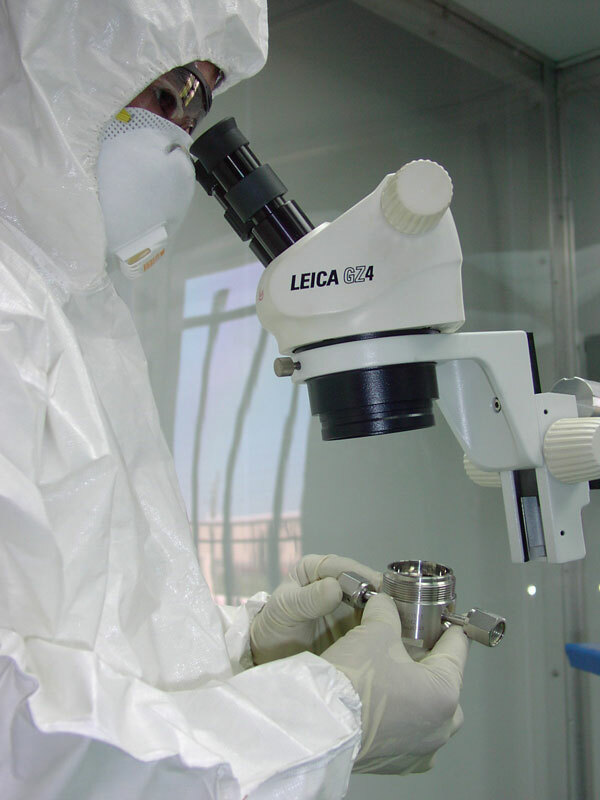 We are capable of cleaning components of all sizes to ASTM and CGA specifications, or to your required industry or company standard. All oxygen cleaned material is suitably packaged to prevent recontamination. Vacuum seal packaging is available. Our sales consultants would be happy to answer your questions regarding our O2 Cleaning Services.